Canadian Pacific Hotel fish service for 14, circa 1970. 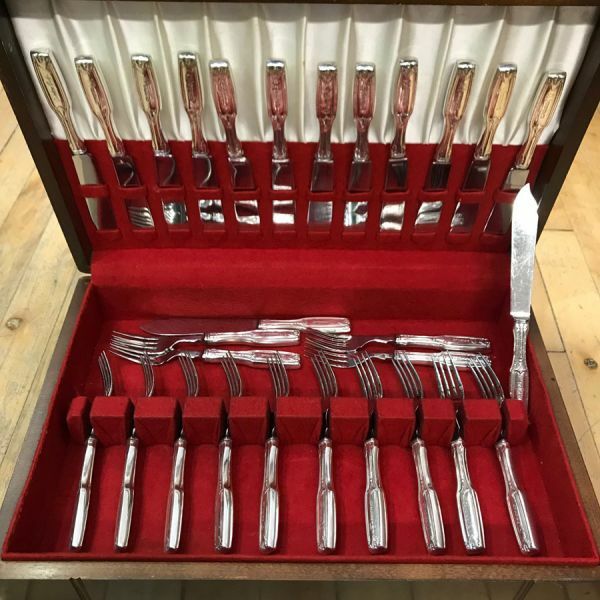 14 each of silver plate and stainless hollow handle fish forks and knives. 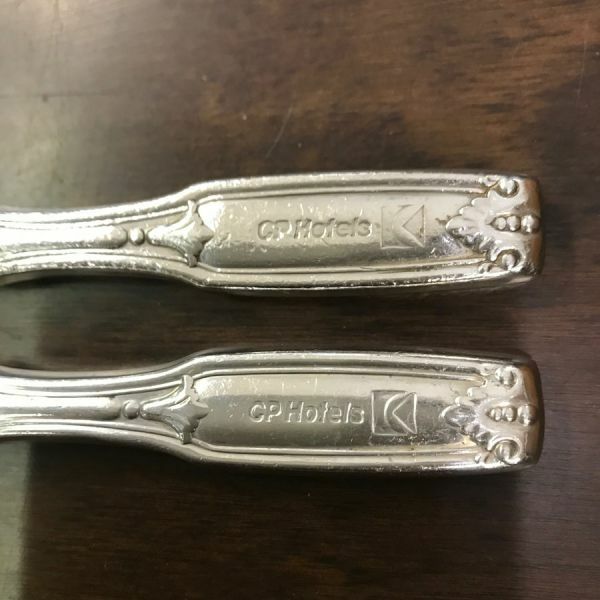 The forks are 7 1/8” long. The knives are 8 1/4” long.